With the latest advances in cosmetic dentistry, it is now easier than ever to have that smile you have always dreamed of. At Smiles Unlimited, we offer clear aligners so you can choose to gradually straighten teeth without the metal brackets or wires showing. Clear aligners are a practically invisible alternative to braces, and are ideal for fixing minor dental issues or for people who do not want to wear regular braces. 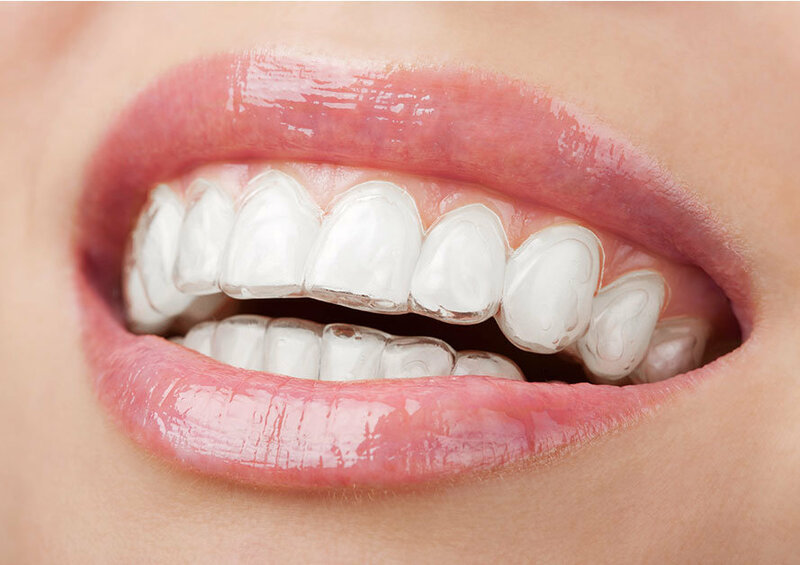 Invisible aligners are made of a clear, strong, medical grade, non-toxic plastic aligners that are specifically moulded to your individual requirements and fit over your upper and lower teeth. These "invisible" aligners gradually move your teeth into the desired position. They are removable, so you can rest assured that no disruption to your lifestyle will occur. How often do I need to adjust my clear aligner? You'll be given a new set of aligners every 2 - 3 weeks. Treatment can vary between 6 months to 2 years, depending on the severity of your case. They are not obvious in photos. Your family and colleagues will not notice them.